This year's theme is "Removing Religiosity from Prayer". Elder Coylette James, Evangelist Beatrice Dyess, Bishop Carl Alexander, Pastor Seneca Atkinson and Sr. Pastor Deontia Atkinson. 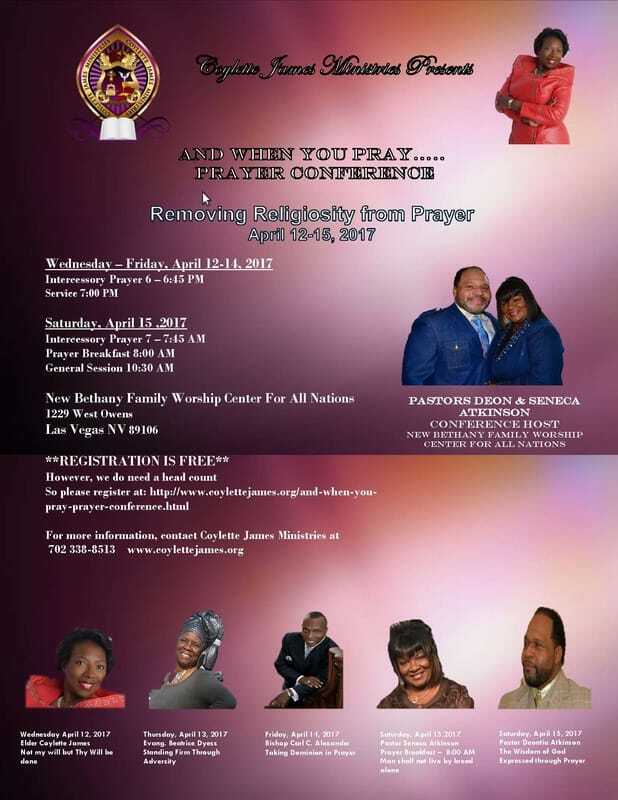 Join us for this power packed time with God! You won’t regret it! Event is FREE, however, we need a head count for the prayer breakfast.